If you thought the letterpress save the dates we printed for Randi & Ben this spring were cool, I think you're gonna like the follow-up. This was truly a collaborative project. 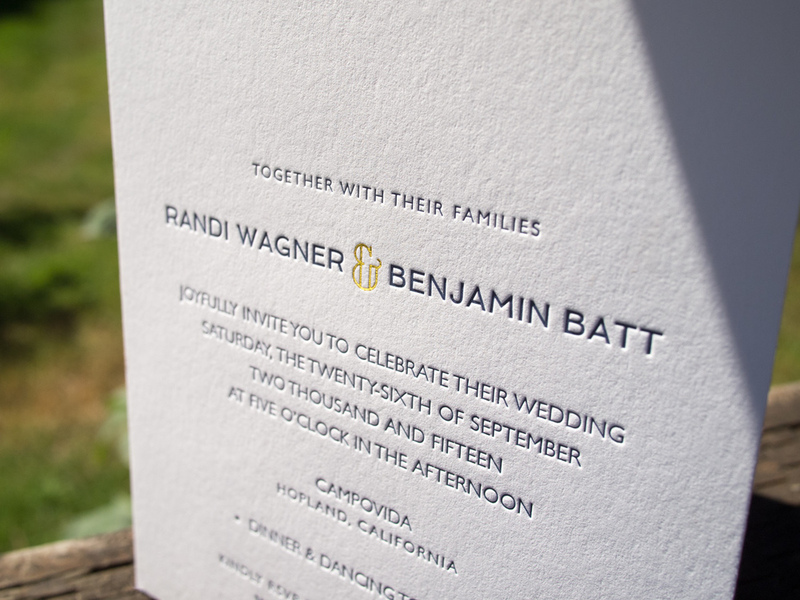 Randi designed the two-sided invitation and sleeve, and sent the specs off to us. 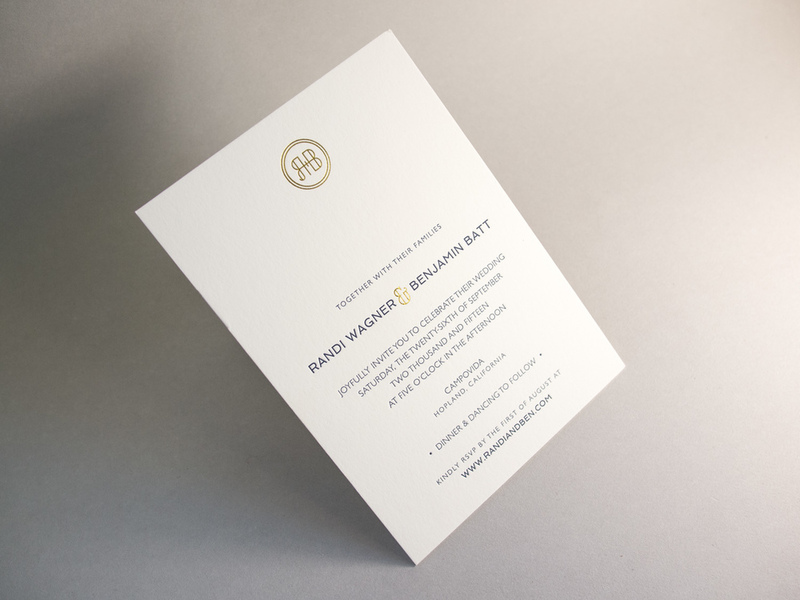 We printed the front of the invitation on 300g Pearl White paper with midnight ink and gold foil, and the back with gold foil on a separate sheet. Then we duplexed the two sheets by hand, let them dry, and trimmed off the edges. This allowed us to get a two-sided piece with heavy artwork and no impression show-through. Randi designed the sleeve to double as a direction card. We printed those with midnight ink on a 4" x 15" sheet, then scored, folded, and glued them. Randi finished off the set on her end with gold string and a custom wax seal. Photos of the completed invitation are below. Posted in wedding invitations and tagged with midnight, gold, foil, sleeve, duplex, wax seal, monogram, pearl white, 300g, 600g, directions. September 29, 2015 by Travis Friedrich.